So … uhm … I haven’t read a single book during this month. I tried, believe me I did, but as of right now, my brain just won’t compute. My attention to focus on a page is virtually non-existent and I’d rather not force myself to read. However, I did get approved for another eARC and my cousin left me a book as well, so I have even MORE reading material with me. 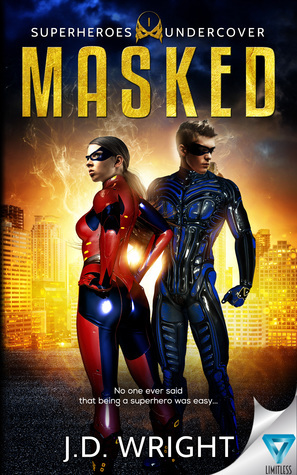 I do read superhero comics, but not really novels. I was just really curious if I would like it in that format. So, this book isn’t technically mine, but my cousin didn’t want to take it with her and left it with me instead. I guess I will give it back to her when we are both in Vienna (but I might conveniently forget that until next year? Just kidding, Julia!). Get re-directed to Goodreads to learn more about the books by clicking on the covers! I know I keep saying this every single month, but where the heck is the time going? It feels like just yesterday that I arrived in Canada and now I only have one more month in Vancouver. I do not want to leave whatsoever … However, I am kind of looking forward to do another blogger meet up in Toronto in November, shortly before I’ll return back home. It was tons of fun the last time and I just love that I can meet up with some fellow bloggers in real life, because it doesn’t really feel like an option back in Austria. Since I talk about visiting sets each month, I am doing that again. I’ve watched some stunt scene filming for Deadpool and the Flash. Those are always fascinating to watch, but terrible to take pictures because security is tight. But cars getting flipped, explosions, stuff burning and telephone polls falling down and spewing electric sparks is something you don’t get to see every day (or at least I hope not). I’ve also been to the set of Arrow and the winner of the month with the most set visits is Once Upon a Time! I am at a point where some of the crew recognises me (Sarah, who is called the Leaf Lady by fans, even gave me a free rubber bracelet!) and the running gag with the other fans is that the cast has to try to get my attention and not the other way around. I don’t mean to ignore them, but sometimes I am not paying attention or I am having fun with my friends and they’ll wave at me or even say something and I won’t notice. It has lead to quite a lot of hilarious/embarrassing moments. I also got to go to a concert by Andrew Belle and it was so much fun. The location wasn’t that big, so it felt very intimate and exclusive too in a way. Andrew stayed after the concert to talk to everyone and so did his bandmates, who were his opening act. They were super nice to talk to and Andrew signed a bunch of post cards I bought and even took a picture with me. It was a dark club and I looked terrible, but I will still cherish that memory. I already mentioned my cousin earlier and that’s because she was visiting me here in Vancouver these past two weeks. It was very interesting to have her here, a bit of a worlds-colliding-situation, but I am glad she came and got to see a bit of my life here. Although, I am still a bit bitter that none of the sets we went to while she was here worked out. I wanted to find a fun one and it did not work whatsoever. Anyway, my favorite part of her visit was probably our little weekend escape to Victoria. We went whale watching and I absolutely adored it (aside from our biologist looking like French YouTuber/comedian Cyprien), it made me want to live on a boat. My phone wasn’t really the best to take pictures of the whales, but it was one of those experiences where I rather wanted to be in the moment than see it all on a screen. Lastly, I just want to mention some new shows I absolutely adore! I really didn’t expect to love The Orville or The Good Doctor as much as I do. I am still a bit on the fence about Inhumans and I have yet to watch Star Trek Discovery. I will do a round-up post on all opinions for new shows a little later this season. There’s still so much to come! I hope you all had a great month as well! Let’s chat! Oh I’m sorry you didn’t manage to read a single book, but you have been pretty busy this month ahah, so it’s completely understandable. 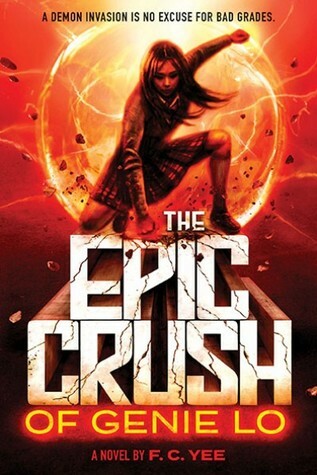 Your whole reading frenzy will come back at some point for sure 😀 I’m excited to hear your thoughts about The Epic Crush, everyone has been loving this book so much. You went to see Andrew Belle?! Why didn't I know that? I LOVE HIM?! That's so, so cool. I was super busy and with someone visiting and another friend moving to town, I just feel like I’ve mostly been out and about. I actually had to take me-days, just to recharge my batteries (where I didn’t read but watched four seasons of Bojack Horseman instead). And I don’t know why you didn’t know about Andrew hahaha I might have been more vocal about it on facebook than on twitter. Had I known, I would have gotten you a signed post card as well, but I already gave away all the ones I had left. It’s been a slow deterioration of my reading skills ever since I came to Canada. My brain is just way too preoccupied with stuff to indulge on something like reading, especially since I don’t seem to have the ability to focus long enough on it. Set visits are basically my highlight of the entire Canada trip. I’ve met so many incredible people (not just actors) through it and that’s also where I made the most friends at. Vancouver is a dream. I am so glad I took the chance and came here. Oh, it’s the best of times! I wouldn’t want to change a thing. haha that’s hilarious that the celebs have to get your attention!! And it’s so cool you met Regina as well!! And that stunt scene stuff sounds epic!! 😀 Awesome post!! The actors don’t actually know about that, it’s just a thing among the fans hahaha Last time they waved at us and there was this girl and she looked at me and my friends to see what to do and we didn’t react, so she hesitantly waved back with another girl. Then she came up to me and was like “did you just ignore the actors! ?” and I was like “what?”. I was so enarmored in watching the crew move a huge screen that looked like it was going to fall over that I just hadn’t noticed it. I mentioned a couple other instances where something similar happened. Apparently I just pay attention to the wrong stuff. So, now it’s a thing I am known for.